Cohen was a pragmatist and a consummate “working” writer. He initially wrote for television and created several popular shows such science fiction series The Invaders. 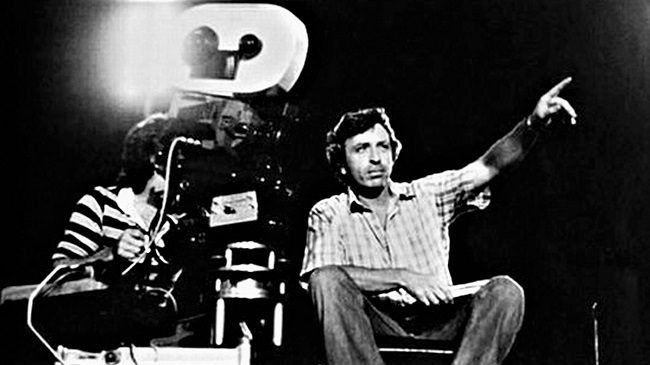 When he moved to independent film making, he saw no shame in embracing exploitation cinema or drive-in movies. Just because a film was pitched at a niche market didn’t mean it had to be poorly written or constructed. His contributions to the blaxploitation genre produced some interesting results such as home-invasion comedy Bone (1972) starring Yaphet Kotto, and the Fred Williamson mobster epic Black Caesar (1973), a remake of the Edward G Robinson classic Little Caesar. He would move to other genres over the course of his career, with such films as the odd supernatural police thriller God Told Me To (1976) and the historical drama The Private Files of J. Edgar Hoover (1977). Cohen had a definite knack for enticing known box office names into his low-budget projects. His 1974 mutant baby horror movie It’s Alive, featured a score by the great Bernard Herrmann and early special make up effects by Rick Baker. Over the years his work would see him working with such names as José Ferrer, James Earl Jones and David Carradine. He formed a special bond with the character actor Micahel Moriarty who featured in four of his features films. He also directed the legendary Bette Davis’ in Wicked Stepmother (1989) which was to be her final screen role. Often working within the confines of tight budgets, he was a film maker that knew how to get the most bang for his bucks. And if the production values limited his work, he would always bolster them by multi-layered narratives along with a healthy does of satire and social commentary.